Home/Uncategorized/Why do solar companies want to see my past year’s energy bills before they install solar panels? each individual customer on their energy bill? Do you major it based on the energy that can be produced and stored by energy companies, and then sold at a cheaper rate? 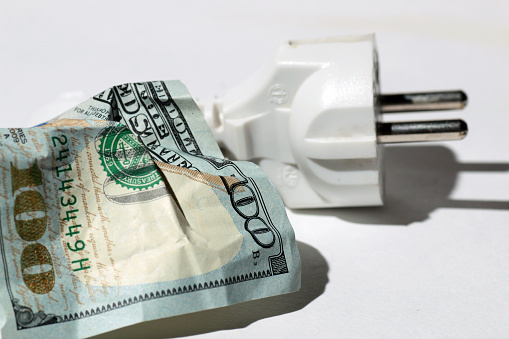 Do you measure the value of solar based on the financial savings it can provide each customer? Customers should remember that the best way for any professional solar PV designer to custom design the right system for a customer is to look at the historic electric consumption for the structure where they wish to add solar PV. By looking at the electric consumption history, a system can be designed and sized appropriately to meet the assumed future demand. This information is also important to ensure that the customer does not buy more than what they need, nor buy a system that is too small. Solar panels won’t save everyone the same amount of money. A poorly insulated home will still allow air to escape through cracks and crevices just like it did before. Solar might make that escaping air less expensive, but it will still be wasted energy. There are also homes that are so well-insulated and so well-constructed that they “waste” very little energy. Although solar will still be beneficial, the homeowner should always try to be energy efficient along with having solar. Without a history of electrical costs, which will also tell a professional installer how much electricity a customer uses, a fair assessment cannot be made about how adding solar will affect an electric bill. Affordable Renewable Energy LLC, known as ARE Solar, is a Colorado locally-owned company specializing in Solar Energy Consulting, Solar Energy System Installation, Solar Maintenance, and Project Management. We work across the Front Range, including the Denver/Boulder metro area, Broomfield, Parker, Castle Rock, Longmont, Golden, and Fort Collins. ARE Solar is a full service renewable energy provider building anything from small 3kW residential systems to large megawatt commercial systems. David B. Waldman graduated from Embry-Riddle Aeronautical University in 1979 with a double major in Aeronautical Science and Aviation Maintenance. David has been a professional pilot; Aviation mechanic; Owned and operated Classic Corvettes of Daytona Beach, D&J foods, and ARE solar of Colorado since 2009. ARE solar has been working on solar and solar installation since 2009, and yes, they may need to learn more about your past electric bills and electric usage, but this information will give them more information to help design the best solar system for your needs.